Your first visit to Shelbyville Family Dental will involve a few important extra steps so that we can get to know you a little better. Being ready for your first appointment will help to make sure that Dr. Scearce has all the needed information to give you the best care possible. Your first appointment will also help relieve issues and stress you may have. 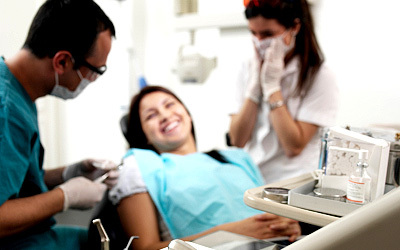 Here at Shelbyville Family Dental we want to make sure you have the most pleasant experience possible. Before you come into our office take some time to look over our website and educate yourself on common health symptoms that you may have. We promise we will do everything to listen to your needs and exceed your expectations when you come in. It may help you to learn more about the different procedures that are available before your first visit to our office. This may help educate you about dental terms and possibilities that may await you. Please use our website as a useful tool for learning about your dental needs. We have a list of Frequent Questions, Dental Terms, and Procedures to help educate you throughout our site.